So far seef_admin@switzerland has created 8 blog entries. BURGISTEIN, Suiza, 1ro de septiembre de 2016 – Dominique C. Brack, conocido como D#fu5e y Vicepresidente de Operaciones del Marco de Compromiso para la Ingeniería Social (SEEF por sus siglas en inglés), lanzará hoy los primeros íconos conocidos de ingeniería social. BURGISTEIN, Switzerland, September 1st 2016 – Dominique C. Brack, known as D#fu5e and VP of operations at social engineering engagement framework (SEEF), will release the first known social engineering icons, today. BURGISTEIN, Switzerland, December 18th 2015- Reputelligence Publishing will today release the e-book that will teach anyone interested in social engineering the skills to do it properly, professionally and ethically. A little preview of the book content. Wow, the proofing copies of the print book are here. Very happy! I am really surprised by the quality of the print. The colors look great and the typesetting fits perfect. Just spotted two minor typos, regarding other possible typos I am blissfully unaware. 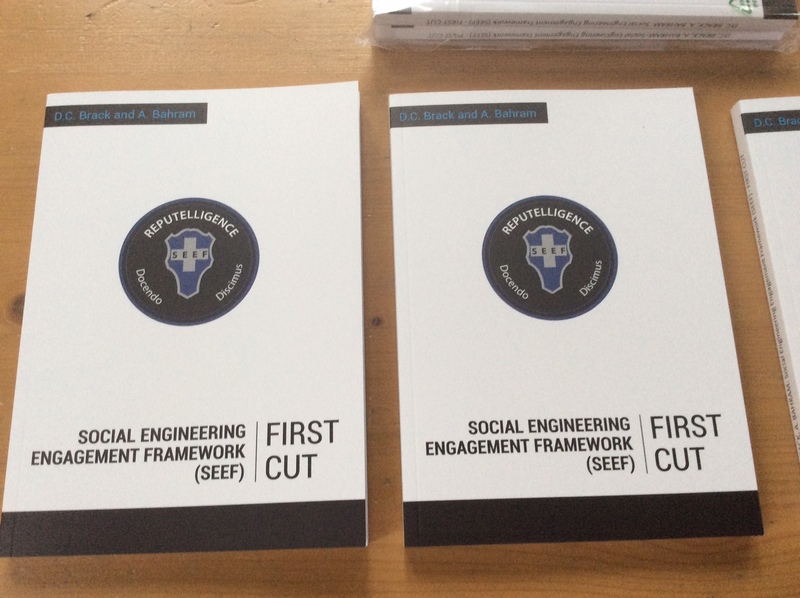 BURGISTEIN, Switzerland, November 30th 2015- Reputelligence Publishing will today release a new book that will teach anyone interested in social engineering the skills to do it properly, professionally and ethically.